Purpose Absorption of irrigation fluid was not detected during GreenLight™ laser vaporization of the prostate using the first generation 80 W laser. However, data are lacking on intraoperative irrigation fluid absorption using the second generation 120 W high power laser. We assessed whether fluid absorption occurs during high power laser vaporization of the prostate. 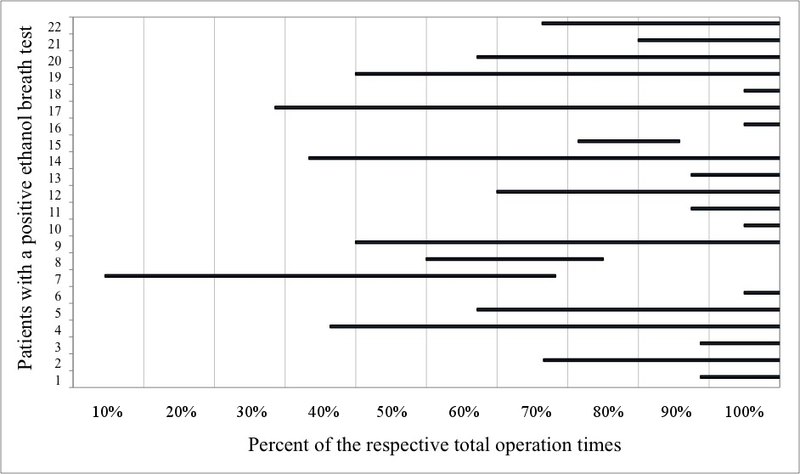 Materials and Methods We performed this prospective investigation at a tertiary referral center in patients undergoing 120 W laser vaporization for prostatic bladder outlet obstruction. Normal saline containing 1% ethanol was used for intraoperative irrigation. 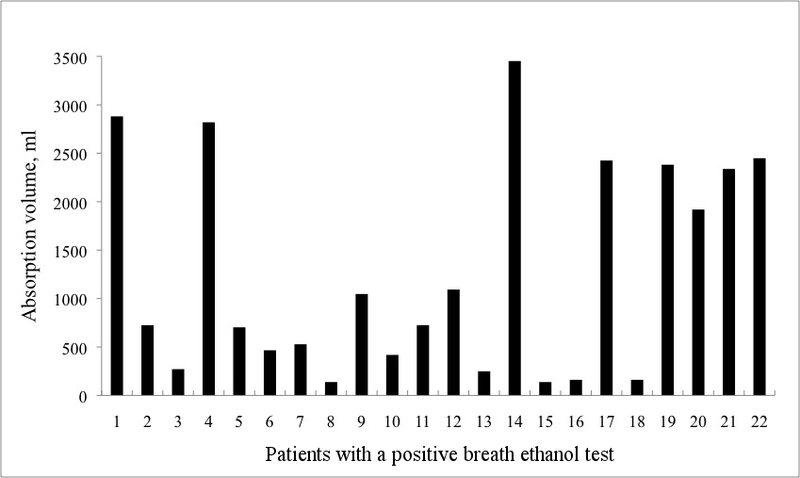 The expired breath ethanol concentration was measured periodically during the operation using an alcometer. The volume of saline absorption was calculated from these concentrations. 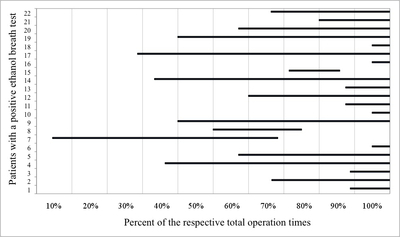 Intraoperative changes in hematological and biochemical blood parameters were also recorded. 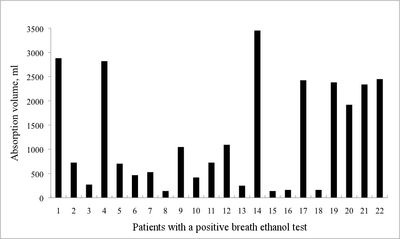 Results Of 50 investigated patients 22 (44%) had a positive breath ethanol test. Median absorption volume in the absorber group was 725 ml (range 138 to 3,452). Ten patients absorbed more than 1,000 ml. Absorbers had a smaller prostate, more capsular perforation, higher bleeding intensity and more laser energy applied during the operation. Three patients (13%) had symptoms potentially related to fluid absorption. Hemoglobin, hematocrit and serum chloride were the only blood parameters that changed significantly in the absorber group. The changes were significantly different than those in nonabsorbers. Conclusions Fluid absorption occurs frequently during high power laser vaporization of the prostate. This should be considered in patients who present with cardiopulmonary or neurological symptoms during or after the procedure.